From 1 September, public buses in Dunkirk are completely free of charge making it “the largest metropolitan area in France and Europe to introduce free for all on its entire bus network”, says Patrice Vergriete, Mayor of Dunkirk. And the initiative has already shown great success: bus journeys have increased by 50 % since the launch. A trial featuring free public transport at the weekends and on public holidays had already been running since September 2015 in the 17 municipalities that make up the Urban Community of Dunkirk (CUD), which has a population of 200 000. Now, public transport has become free of charge for everyone throughout the week, including on the cross border bus line Dunkirk - De Panne (Belgium). The measure was a major promise in the 2014 municipal election campaign of Patrice Vergriete, the current mayor of Dunkirk, as well as current CUD president. For Vergriete, the primary aim was to boost the purchasing power of residents in an area affected by many years of economic decline, increasing unemployment and declining population. In addition, free public transport is to help fight social exclusion. It allows people make trips and be more mobile, especially in a city where over a quarter of households do not have a car. The measure also aims to promote sustainable mobility. Despite the low car ownership, still two thirds of journeys in Dunkirk are made by car. Encouraging the use of the bus in addition to cycling, should help to reduce car use and promote a cleaner environment. The move to free bus transport is combined with a major overhaul of the entire bus system in the CUD. Bus company DK’Bus, responsible for public transport in the CUD, has restructured its network. Five key BRT lines form the main structure of the network. These lines benefit from numerous dedicated rights of way and are to provide a high level of service. The key lines are complemented by a dozen minor lines. The total number of bus lines has increased from 10 to 17, and the aim is to offer one bus every 10 minutes on each line, between the hours of 07:00 and 19:00. To facilitate this, the bus company also recruited 42 new bus drivers and acquired 45 new Wi-Fi-connected buses powered by natural gas. The introduction of the free bus scheme is not without controversy. For example UPT (Union des transports publics et ferroviaires), highlights the financial challenges created by free transit and the limited impact it has on modal share. Increased ridership of free bus transport mainly results from the current bus users who are intensifying their use, as well as pedestrians and cyclists that will now take the bus for short trips. A criticism which is seconded by FNAUT (National Federation of Transport User Associations), which highlights the need to improve quality of public transport services and impose Urban Vehicle Access Regulations, such as access charging to promote modal shift. In addition, the provision of free public transport could be counterproductive in the medium term FNAUT argues, as it consumes the financial means that are required to invest in better public transport services. Moreover, even in Dunkirk where the introduction of free bus transport is accompanied by a real ambition to develop the network and invest significantly to improve quality of services, nothing proves that free public transport was necessary. Employers' organisations like Medef and CCI (Chamber of Commerce and Industry) have also been critical about free public transport. 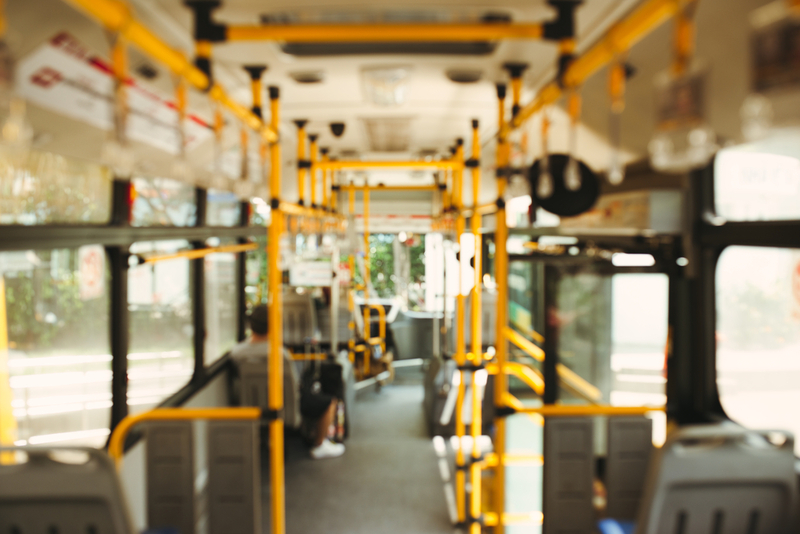 The loss of passenger revenues is partially covered by a local transport tax – the ‘versement transport’ - which is levied on all companies of more than 11 employees. The employers' organisations point at the negative impact of the tax burden on their competitiveness. Companies cannot be the only ones paying for free transport, user should pay their fair share and experience part of the actual costs of operation. Investing in the public transport system and freeing it of charge has been a “decision well justified”, in a city that is overly reliant on cars for its mobility to the extent that it “limits the development of the city" noted Vergriete. Whereas criticasters note that it remains to be seen if the measures will have a meaningful longer term impact on modal shift, the immediate impact has been positive. In a statement, DK Bus is satisfied with the attendance of this first weekend after the launch of free buses in the Dunkirk: "The first assessment is beyond our expectations! With an increase in network traffic of + 85 % compared to the 2014 pay week-ends and + 33 % over free week-ends.” Moreover, the success of the weekend was confirmed during the first weeks as network attendance has increased by more than 50 % in real terms.